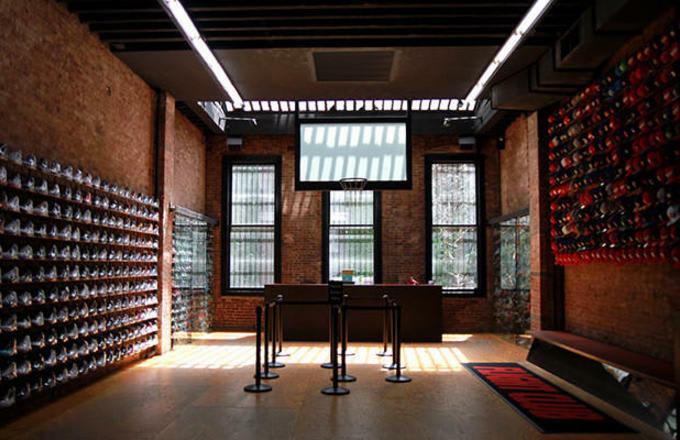 Flight Club is a worldwide destination for rare sneakers and pairs people slept on. The shop's walls are infamously filled with cellophane-wrapped sneakers, and, of course, plenty of heat. With more and more sneakers getting released nearly everyday, the inventory at Flight Club is constantly changing. The shop isn't just full of grails from yesteryear (although you can find those, too), there are also new sneakers for sale. At Flight Club right now, there are exclusive Air Jordan PEs, a healthy dose of Dunk SBs, and super rare collaborations to be had. To check out what's in-stock for the new year, here's Shelf Space: 10 New Sneakers Available at Flight Club Right Now.